Clothing/Jewelry Description A gray or brown suit/dress, flesh-colored stockings, brown or black shoes, and earrings. Distinguishing Characteristics Caucasian female. Brown hair, brown eyes. Beverly's nickname is Babe. Beverly was in Philadelphia, Pennsylvania on September 11, 1947. The day before her disappearance, she appeared to be troubled and told her mother she had something to tell her. She then changed her mind and decided not to confide in her mother, and her mother did not press her about it. Beverly went to Overbrook High School to register for her senior year classes the next day, then vanished. She was last seen carrying a suitcase at the Baltimore and Ohio Railroad Station at 24th and Chestnut Streets. That same evening, she sent a telegram to her parents reading: "Got married. Leaving town. Will not be back. Don't worry. Babe." Authorities discovered Beverly had withdrawn $173 from her savings account, quit her clerking job, and told her coworkers she was going to Chicago, Illinois. Investigators checked marriage license bureaus in all states, but did not find evidence that Beverly married as she said in her telegram. In addition, her loved ones stated she was not dating anyone at the time of her disappearance. 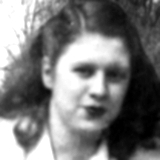 There were many reported sightings of Beverly in cities all over the United States after September 1947, but none of the accounts were confirmed. Her parents published advertisements in newspapers appealing for her to contact them, but she never did. One theory is that she ran away because of an illegitimate pregnancy, which carried a heavy social stigma in the 1940s, but there is no evidence to support this. It is highly unusual for a teen runaway to vanish completely and never contact any of her loved ones again, as Beverly apparently did. Beverly's parents are both deceased. Her disappearance has never been closed and it remains unsolved. Updated 4 times since October 12, 2004. Last updated May 21, 2011; clothing/jewelry description added.